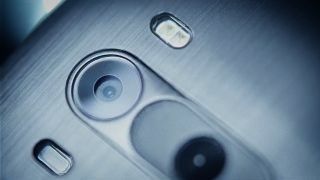 The LG G4 is expected at the end of the month. If you're counting down the days until the 28 April unveiling of the LG G4 flagship, then you'll be interested in a new teaser video launched by the firm. It shows the LG UX 4.0 interface you can expect to see on the version of Android Lollipop shipping with the phone. According to Google Translate's take on LG's Korean blurb, the new software is going to be "smarter" and more "human-centred". You can see for yourself in the video, but it looks like Material Design features heavily, with bright and bold colours throughout. It sounds as though there'll be plenty of customisation options for you to play around with, and there's a new Quick Shot feature that lets you quickly take a photo even when the screen is locked - handy if there's something hilarious about to happen and you don't want to miss it. Smart Alert is a weather app that doesn't just tell you what the forecast is - it also makes suggestions about what you might want to do. The Calendar app, meanwhile, has been updated to let you drag and drop in events from your social media accounts. Smart Board (can you spot the theme here?) brings together key information from various apps like health and calendar into one widget. Icons and readability have been improved according to LG, and the Gallery app has also been tweaked to make it easier to organise your pictures. A new 'expert' camera mode in the LG UX 4.0 has been introduced too, designed for advanced photographers to get more from their mobile phone shots with a range of manual settings. In a few weeks time we'll be able to test it out for ourselves.